I know this looks like a rather old fashioned looking dish, but please don't knock it. If you had just come out of the snowy cold, I know you'd be happily asking for a bowl. Its what I'd describe as a warm hug in a bowl. The cauliflower, carrots and baby onions had bite, the mushrooms texture and the tomato and lentils thickened the sauce. For me the real star of the dish was the savory scones. So soft, light and delicate, that they just melted. I mean really melted in your mouth like 'butter'. I know I will be making this 'Red Lentil Cauliflower Cobber' again. 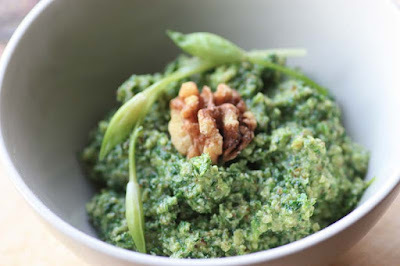 Its an excellent dish to make for friends expecting comfort food, not 'posh nosh'. Please don't be daunted by the long list of ingredients. Once you've peeled, chopped and put the ingredients into the pot, its all really straight forward. 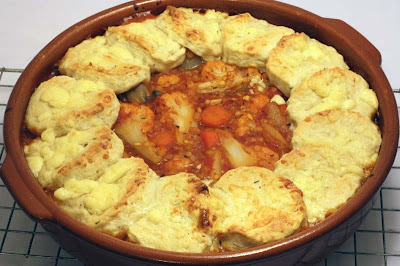 This dish can easily be veganized, simply by replacing these cheesy scones with a vegan alternative. 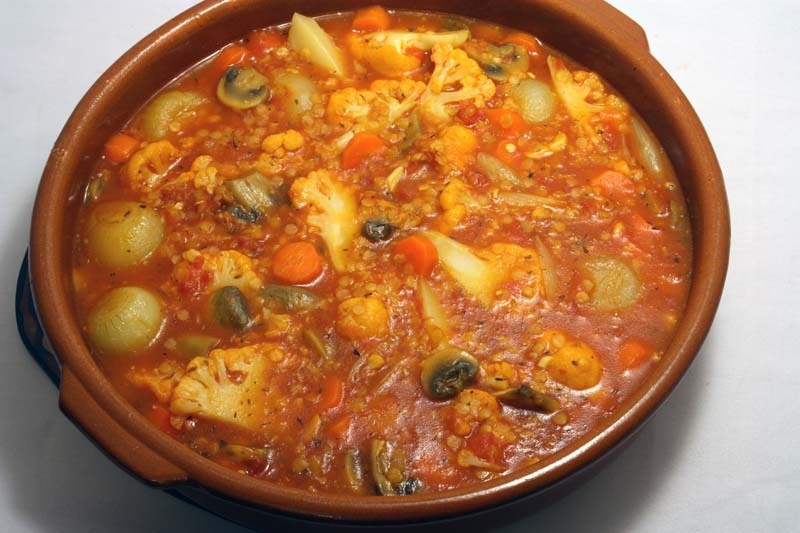 UPDATED December 2011: Vintage Mum made version of this Red Lentil Cobber, please check it out here. 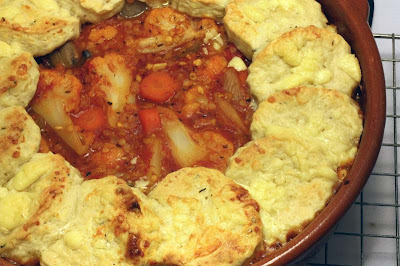 I am sending this 'Red Lentil Cauliflower Cobbler' to My Legume Love Affair. MLLA as it is fondly known was founded by Susan of the Well Seasoned Cook. This month MLLA #33 is being hosted by Dee and K of Ammalu's Kitchen. Heat the oil in a large saucepan. Fry the garlic and onions for a few minutes, then add the celery, carrots, cauliflower, mushrooms and stir fry for 5 minutes. Add the tomatoes and lentils. Mix in the cornflour and water and add to the pan with the stock, hot sauce and oregano. Bring to the boil. Transfer to an ovenproof dish, cover and bake in a preheated oven Gas Mark 4 for 20 minutes. Sift the flour and salt into a bowl. Rub in the butter, then stir in most of the cheese and the chopped herbs. Beat together the egg and milk and add enough to the dry ingredients to make a soft dough. Knead lightly, roll out to 1 cm thick and cut into 2 inch rounds. Remove the dish from the oven and increase the temperature to Gas mark 6. Arrange the rounds around the edge of the dish, brush with the remaining egg and milk and sprinkle with the reserved cheese. Cook for a further 10 – 12 minutes, until the topping is risen and golden. Serve immediately. It has been way too long since I had a cobbler. You have a wonderful selection of veggies in there. I feel that I could devour the whole pot! Wow, that looks SO good! And I love the idea of a veggie, spicy cobbler - If i do want to substitute the egg, what would i use instead? please send me a message either on my blog or to priyamahadevan@hotmail.com thanks and lovely post! I didn't know cobbler can be made savory. Love the flavor in this dish, I'll give it a go. 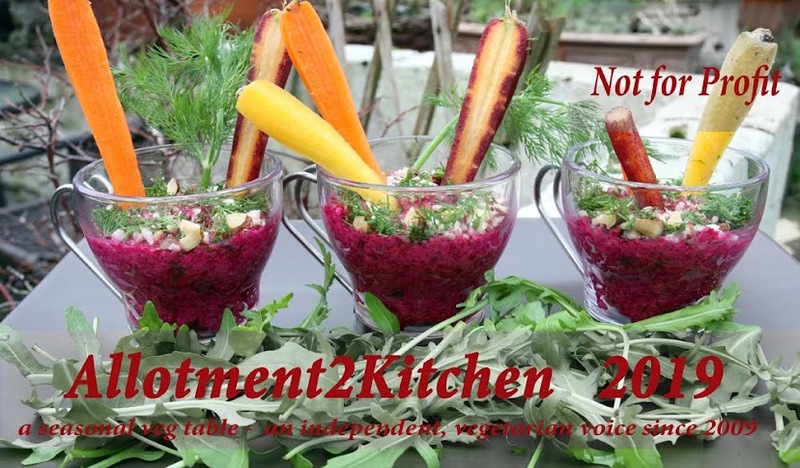 Hi, thanks for visiting my blog :) I love your enthusiasm for seasonal and homegrown veg, I would really like to do the same and hope we get a house with a garden soon. And fruit trees! This dish looks like total comfort and I would definitely love this. This is my type of food! mmm I love the cobbler part on the top when weve made cobbler in the past. And the lentils in this make it super healthy. This looks great MC. We are heading for cooler weather here (slowly and not that cool unless your idea of cool is "not hot"), and I can't wait to try some of these winter dishes. Grow little cauliflower, grow. This looks gorgeous, adding the ingredients to my shopping list now! Don't apologize for your 'old-fashioned' food, it looks wonderful! You know, I think if there were more recipes around like this people would actually cook more instead of using their cook books for decorative purposes only. This kind of food is delicious and what I grew up with. You don't have to get in special (and expensive) ingredients and it tastes so good. I am vegetarian and I am fed up with books that say they are healthy but never use lentils or beans as they are boring (what rubbish). Lentils are fantastic, and so are nut roasts! A healthy vegetarian can't just eat vegetable side dishes which is what many books are now (and written by meat eaters who hate vegetarians too! ); unless we want to fade away we need substantial food as our main courses. I love recipes like this one and I think I am going to have something similar for my dinner this evening. Thanks for sharing your lovely food. Am I right in thinking it is a scone topping? So delighted to read that you could devour the whole pot! 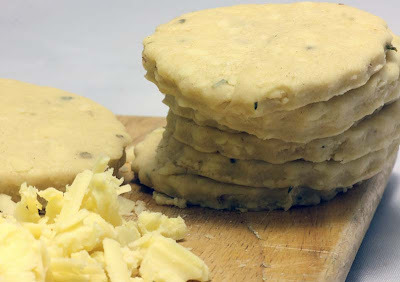 You could make a vegan version of scones. Or these parsley shortcakes woudl be a great alternative. And thanks for letting me know about the Marmite book - shame that. Have you seen my Marmite potatoes post?! A recipe idea from my young nephew. This cobbler is certainly savory. If you d omake, I do hope you enjoy it as much as we did. Me too- I'll be makign a few more in the next coming months. It made me smile to read your comment. Thanks for repaying the compliment LF. I'll be making this again for family and freinds, perhaps with dif. vegetables though to ring the seasonal change. I keep thinking that the weather is here is changing for the warmth, but then there is a gush of snow, falling all over Scotland and I am all cold again. I like your 'Grow little cauliflower, grow'. YOu don't want them to be like mine, insteadign of growing, they were blowing. Thank you so much Ms C.
Please le tme know how you found the dish if you do get round to making it. Thank you so much Anonymous for your lovely comment. I so, so agree with you. In the next few weeks, I'll be featuring a lot more lentil, beans and pulse recipes. I don't mind some of the modern vegetarian cuisine (as I have been guilty of trying some exotic ingredients), partly out of curiousity and partly of my own cultural and ethnic background, but I think its important not to forget those vegetarian dishes of the past either - so I am excited to be exploring some of them again. For me Lentils, beans and pulses will never be boring. When I was growing up, lentils (dal) and rice was my idea of real comfort food. I agree with some of your observations, where some recent food writers/celebrity chefs (not necessarily vegetarian) share their vegetable dishes which as you rightly pointed out are not even vegetable main dishes for the vegetarian or vegan, but mere side dishes or an elaborate salad jazzed up with exotic and expensive ingredients. But i have to applaud one meat eating chef - Paul Gayler - who over the years has create a hearty vegetable based dishes genuinely for both the vegetarian and vegan. There are not many chefs like him. 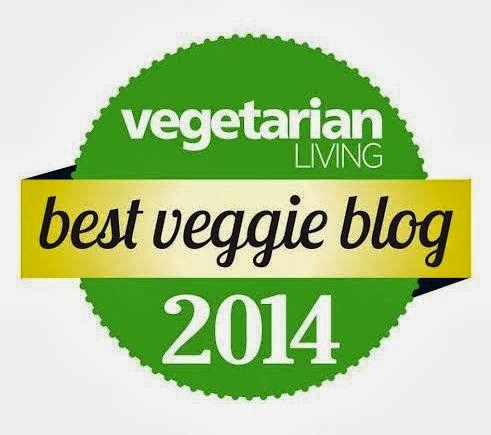 One of my favourite and much admired vegetarian chefs is Nadine Abensur. In the mid 1990s, she opened my eyes to the potential of vegetable and legume based cusines. I am sad that she is often overlooked and does not get the credit in the U.K that she deserves. Sadly people have such short memories. Once again, thank you I really enjoyed reading your comment, its shows me that there are like minded people out there. Please please let me know how you find it. Thank you so much Zelda. Well it is after nine and I still have things to do and haven't made dinner yet, so I think I will besaving it for another night. Off to do the bathroom now. Sounds like you've been busy doing house chores. Well, it's not snowy cold here anymore, but this looks so awesome, I can already taste it just by reading your recipe :) I sooo have to try this. Thanks for posting! Thank you so much Torwen. Its not snowing here either, but its still raining on and off.